Champions Special Ministries was formed in 2012 to serve Special Needs individuals and their families through Day Camps, Day programs, Night of Champions programs, respite care, and by consulting with churches that would like to establish ministries to individuals and families with disabilities. 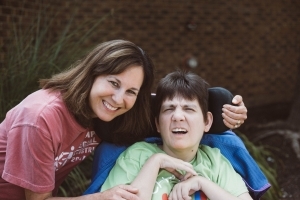 Alison Gromer, founder of Champions Special Ministries, has a heart for ministry and extensive experience leading a staff of experienced counselors that encourage, teach and demonstrate the unyielding love of Jesus Christ for individuals and families with special needs. Champions Special Ministries, a national nonprofit ministry, is supported by individual and corporate donations. Thank you for your interest, your prayer, and your support of Champions Special Ministries and its mission to serve those with disabilities, their families and the church using relevant, engaging programs, encouragement and prayer. Champions Special Ministries serves persons with disabilities, their families, and the church through creative, engaging programs and day camps, and helps churches establish relevant ministries to those with Special Needs. Alison Gromer is a passionate follower of Jesus Christ with a calling and anointing on her life for Special Ministries. Alison has degrees in Elementary and Special Education from Missouri State University. She has been a teacher in Blue Valley (Kansas) School District, and an online teacher for the Lawrence, Kansas, Virtual School.